Less than a month ago? 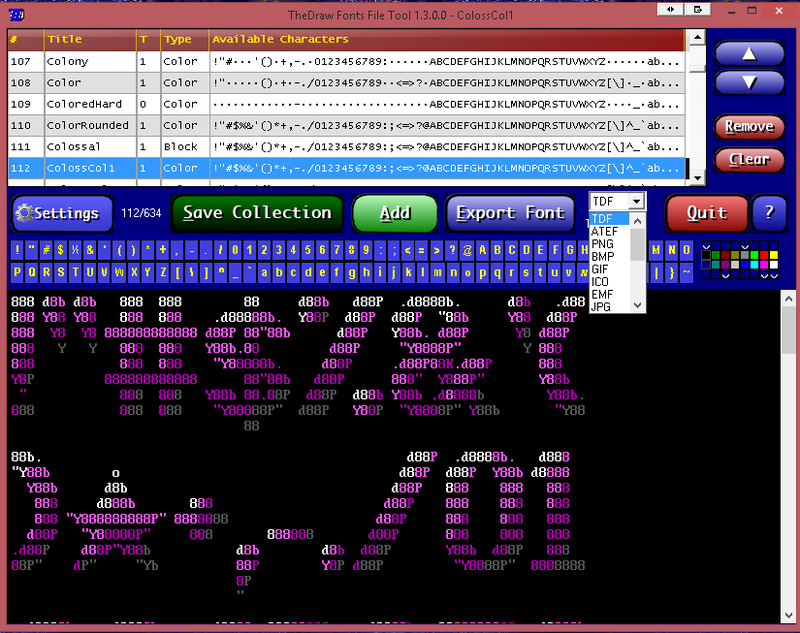 ?I released Version 1.2.0 of my TheDraw (.TDF) ANSI/ASCII Art Fonts Tool. 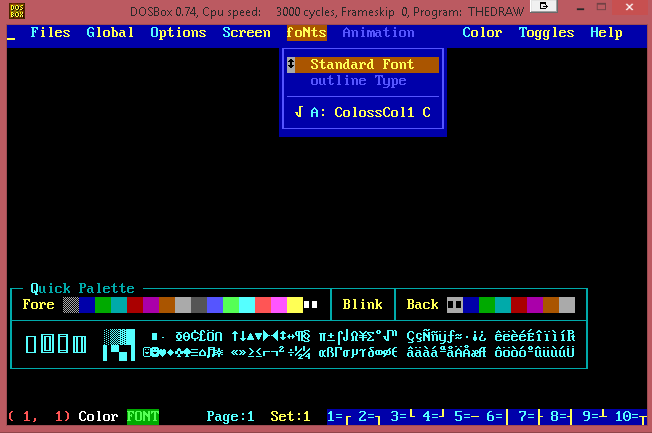 The previous release version was about adding new and fixing existing features of the tool, such as additional font types import support or the build in TheDraw ANSI Text Editor launched in the DOSBOX MS DOS Emulator Tool. This release is about the interface and general usability of the tool. The biggest change is that there is now only one “ADD” Button. 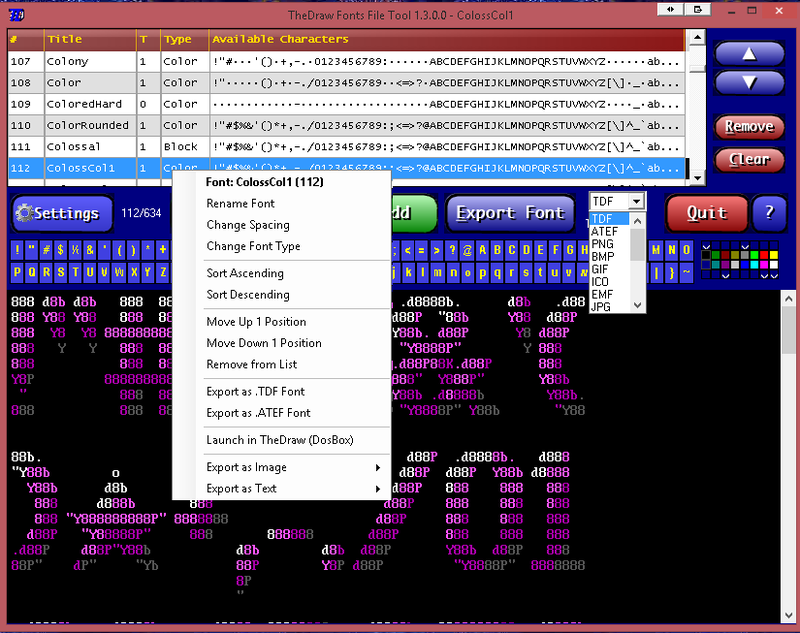 Previously there was a “Load” button to load .TDFX or .TDF fonts collections and a “+” button right next to the fonts list to add additional .TDF Fonts to the listing. Each of them only supported the selection of a single individual file. With Version 1.2.0 and the added support for .ATEF and .FIGLET Font Files, you also had to select the font type first before you could add it. Now with the new prominent “ADD” button you can select one? ?or many supported font file types in one step. It does not matter, if you select one or more .TDFX or .TDF collection files and/or one or more .ATEF (ANSI Text Editor Font File)??or? ?Figlet font files. The font listing previously only allowed? ?selecting a single font, which made it cumbersome to remove or manually re-sort? ?many fonts in a collection. Now it is possible to select multiple fonts in the list and remove or move them all at once. It’s using the standard Windows controls; Hold the “SHIFT” key to select a RANGE or the “CTRL” (Control) key to append a single item to the selected list. There is now also another setting available in the “Settings” screen. “Ask for Confirmations” ON/OFF to toggle if the tool should show and ask for confirmations for most actions or leave it be. More advanced users might want to make use of the setting, because it can speed up the list management process considerably. 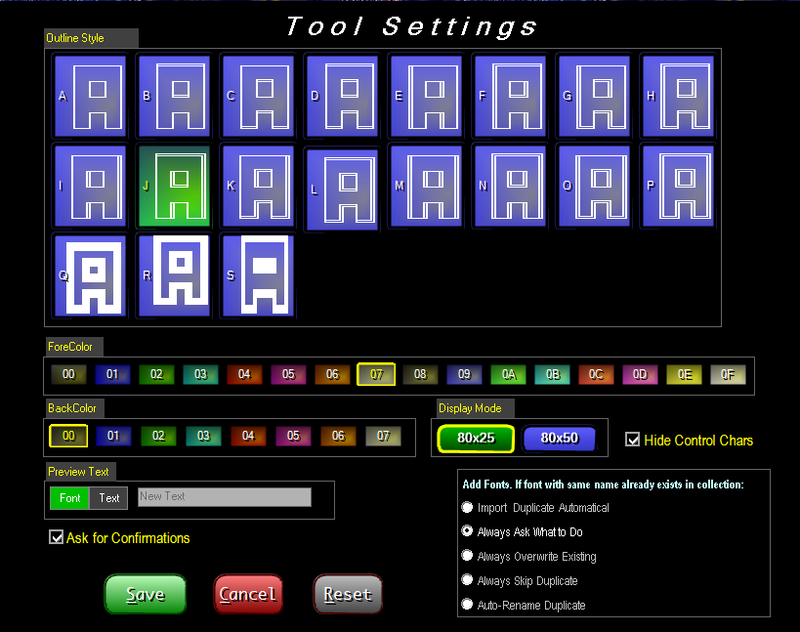 Here are some updated screen shots of the latest version of the tool. I hope you Enjoy this new release. Make sure to also check out the RoySACcom.exe release intro as well as the ROYSAC.NFO text file, which is included in the .ZIP archive of this release.